It's officially the holiday season. We call it "the happiest time of the year" and it is, for some... and for others, this time of year brings on anxiety and causes stress. As for me, I love spending time with family and friends, but I'll admit I'm one of many that still gets anxious when it comes time to get festive. While I used to let anxiety overcome me, over the years I've pretty much mastered how to deal with holiday related anxiety and today I want to share a few tips with you so that all is calm in your world. 1. No Expectations - Instead of anticipating the perfect event, go ahead and take a deep breath and remind yourself it's okay for things to not go as planned - it's okay for things to just happen. Allow yourself the time to be present and stop stressing about the small stuff. It doesn't matter how you responded to your cousin's snarky remark or how your brother-in-law will react to the gift you've chosen for him... instead of thinking of what could happen, think about what you're doing now. If you start feeling that stressful feeling again, take a second to absorb the beauty of the lights around you, listen for the live music playing from down the street, feel how soft these new Kleenex are, and stop stressing about the small stuff. 2. Plan for Peace - Okay, while things may not always go as planned, that doesn't mean you can't make an itinerary and hope to follow it. A big part of my anxiety is triggered by the "unknown" so planning ahead provides some peace of mind. 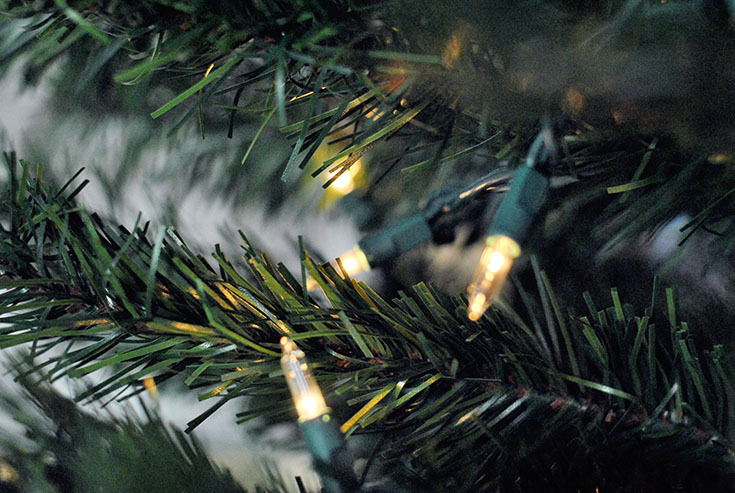 If you're like me, you can plan days ahead for fun events, from looking at lights at the park to browsing the aisles for toys for your niece, plan when you'll be going and doing these events and you'll find them a lot less anxiety-inducing. 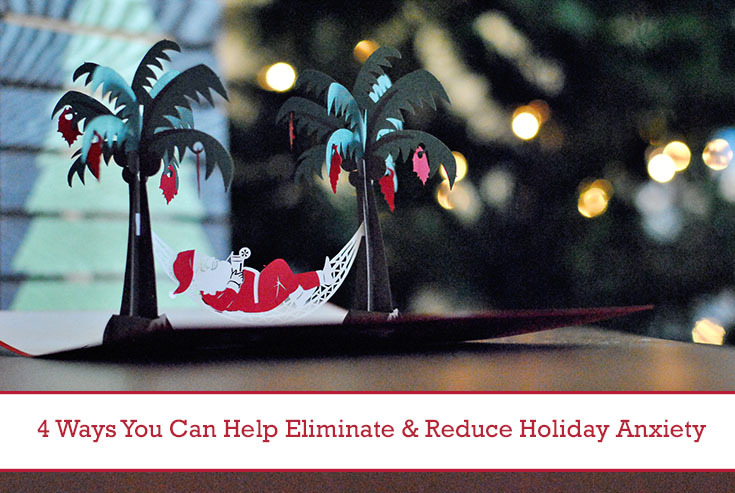 Also plan your family time ahead, so you aren't spread too thin on time or torn between groups... and well, it's important you do this so you don't run out of paper items either. That's right, planning ahead to have enough paper towels and toilet paper is a MUST around the holiday season when you're expecting company. 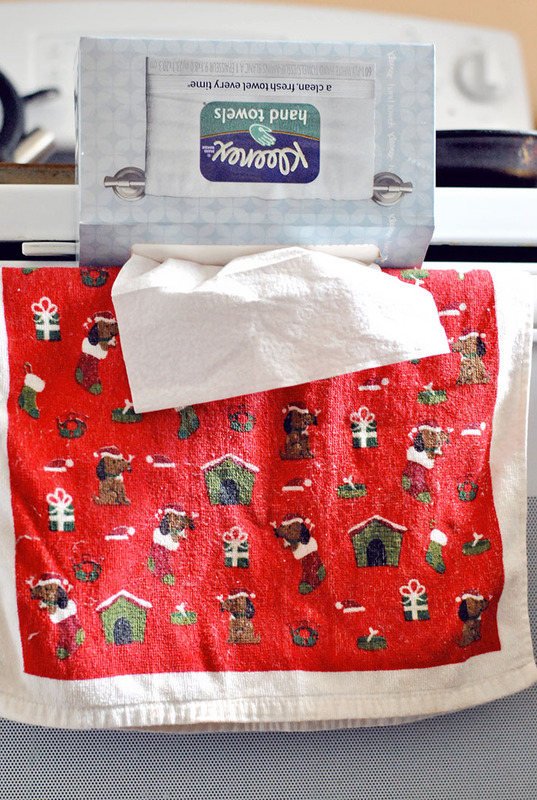 And you can't forget Kleenex hand towels either, especially if you have a big family. 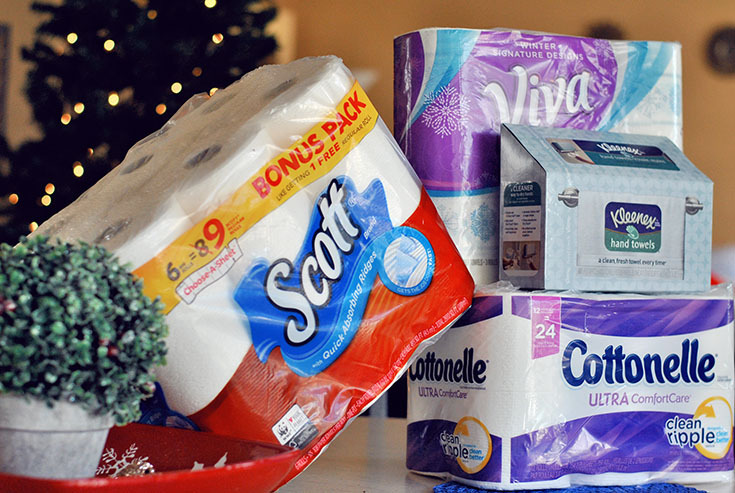 With extra company coming in to town, the last thing you want to run out of is the necessities and lucky for you can use Ibotta to snag a rebate on the Scott, Viva, Kleenex, and Cottonelle goodies you bought at Walmart. I personally despise grocery shopping and I ordered all my goodies online at Walmart.com --with home delivery, free 2 day shipping and same day shipping options, who needs the hassle of going in-stores to shop? Not this girl! But, if you're the type that likes to shop in-stores, you're also in luck because all of these goodies are stocked on the shelves too! 3. Respect Differences - Have a family member that picks on you and just drives you bonkers? Accept that you can't change others, but you can change your own mindset and focus on those that make you happy. Do your best to respect that your differences are what makes your family beautiful and again, try to be present in the moment and enjoy the other good things about the holiday! 4. 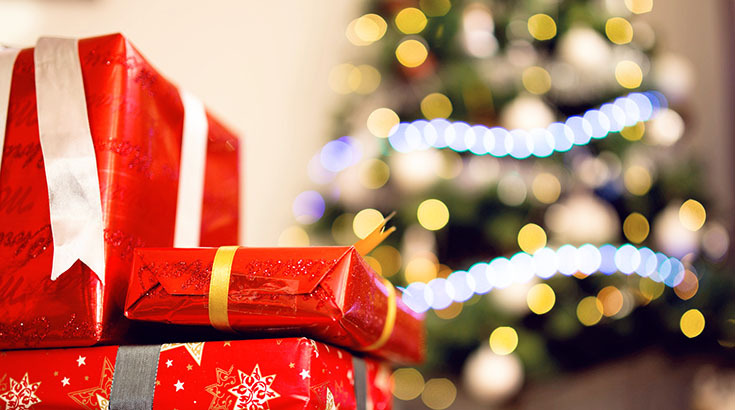 Budget & Be Giving - Instead of spending too much on gifts people don't want or need, think about a unique gift idea instead. Make a handmade baby book for your nephew or send your niece something you drew for her. You can surely come up with a creative way to spoil your family without the added price tag. 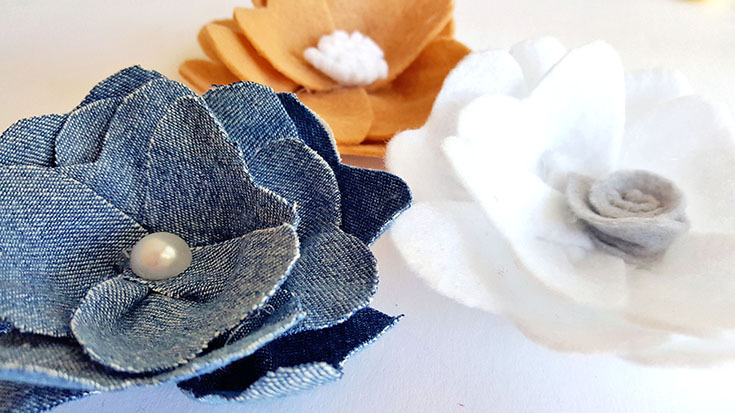 This year some of my family will receive blooms from my new small shop, Bloomology. I'll be making each creation specially for the individual receiving it so I hope they know how heart-felt these gifts are... no pun intended. 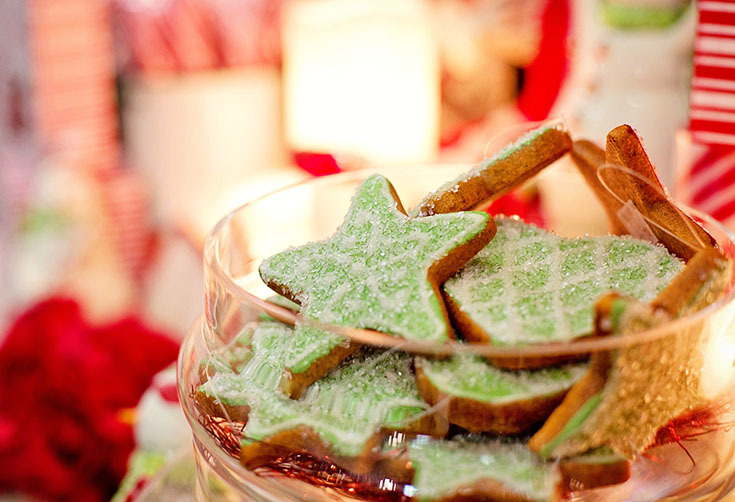 With that said, how do you reduce anxiety around the holidays? I'd love to hear all about it in the comments below! 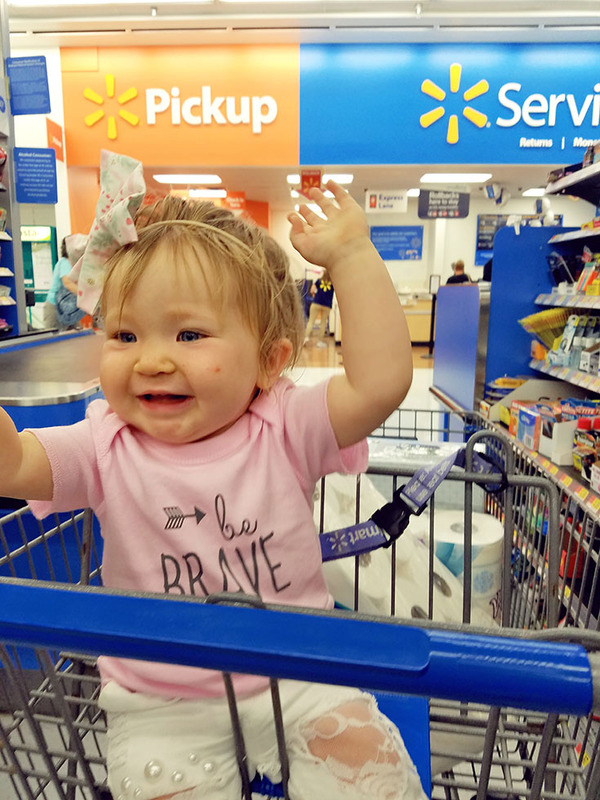 But don't forget to snag your rebates on your next Walmart run with Ibotta!